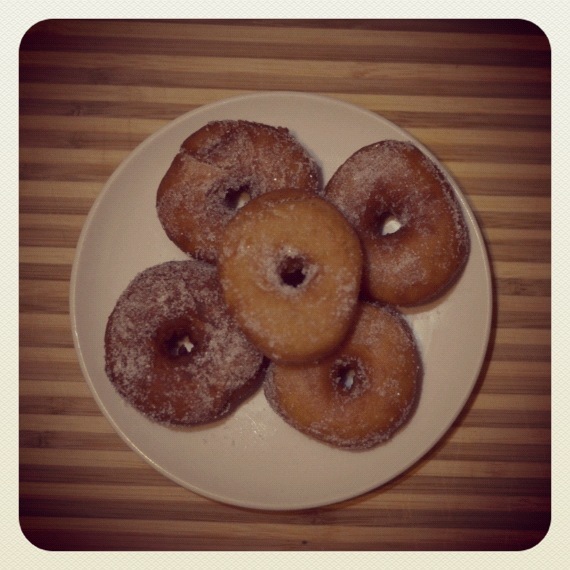 I am appealing for help from the interweb – why are my donuts not rising properly? In the past month I have tried three different recipes and I just can’t seem to get it right. Last night’s attempt was certainly the best so far (from a Jamie Oliver recipe) but still, after I roll the dough out and cut the donut shapes they don’t rise as much as they are supposed to. Last night I even made sure that I put them on plastic and wooden chopping boards so that they wouldn’t catch a chill from the granite kitchen counter. The only thing I am happy with is the photos from last night – the donuts look a lot better in the photos than what they taste like. Oh and don’t use lemon rind in your donuts, even if Jamie or Nigella call for it – doesn’t go that well with the yeasty taste of donuts. 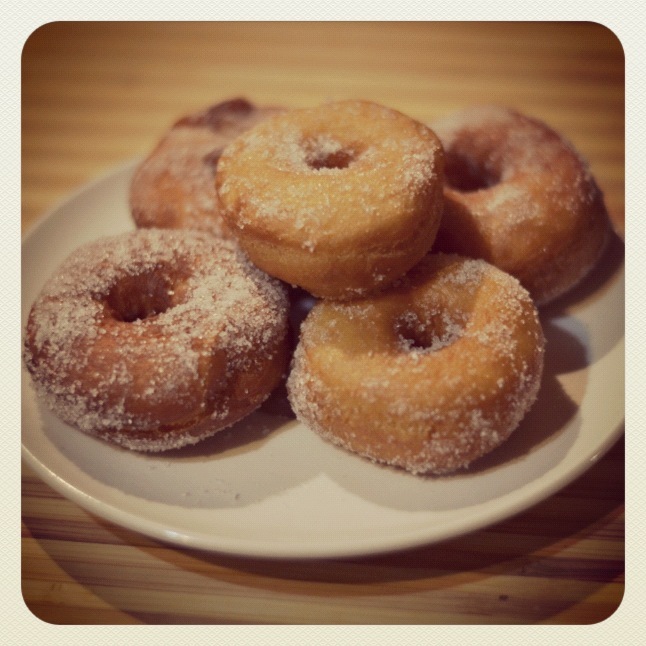 If anyone has a tried-and-tested centuries-old family recipe for donuts (from any country in the world) and any tips for me I will welcome them with open arms. It could just be your oven – is it old? Mine is, and I know for sure that 200 degrees really isn’t that at all. An oven thermometer does the trick, if it is indeed a heat issue. Thank you so much for those detailed comments – I am sure I am guilty of them all. Guess I will need to be more careful and keep trying until I get it right. My mom said that even on my second attempt my dough looked too hard, and I don’t have a dough hook so it is easy to man-handle it a bit too much. Will post again when I get it right.